Ryder System, Inc. (NYSE:R), a leader in commercial fleet management, dedicated transportation, and supply chain solutions, today announced it has promoted Frank Lopez to Senior Vice President and Chief Human Resources Officer. Mr. Lopez, who most recently served as Senior Vice President of Global Human Resources Operations, takes over the HR functions from Greg Greene, Executive Vice President and Chief Administrative Officer, who recently retired following a 20-year-long career with Ryder. "Frank has been a true leader, going above and beyond to deliver the very best in each role he has held at Ryder," said Robert Sanchez, Ryder Chairman and Chief Executive Officer. "I am confident that Frank will continue to build on our success of attracting and developing the best people in the industry - one of Ryder's strategic priorities." In his new role, Mr. Lopez is responsible for leading Ryder's Human Resources function, including talent management, recruiting, compensation and benefits, employee engagement, HR operations, and labor relations. He is also a member of Ryder's Executive Leadership Team. 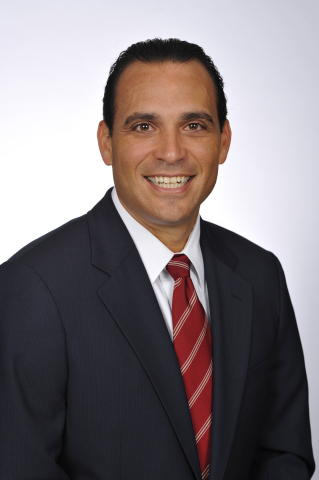 Mr. Lopez joined Ryder in 2002 as Senior Legal Counsel handling labor and employment law. Since then, he has held a number of positions of increasing responsibility, including Assistant General Counsel, Group Director of HR and Labor Relations, and Vice President of HR. Mr. Lopez has a bachelor's in Political Science from Florida International University and a law degree from Emory University School of Law. He is also a Board member for the Zoo Miami Foundation. Mr. Lopez has a strong record of building high performing teams and partnering with business leaders to develop talent strategies that drive business success in rapidly changing environments.